Soak in the beauty of the British Isles as you sail roundtrip from London or Paris on Royal Princess. Book a spot for a loved one or yourself this Valentine’s Day and let romance and history unravel before you. In Paris, every sight seems to have a story of its own. Meet eyes with the Mona Lisa at the Louvre to contemplate how she came to be so famous. Hear about the roots of French history you as you take a quiet afternoon stroll through Versailles Palace and Gardens. 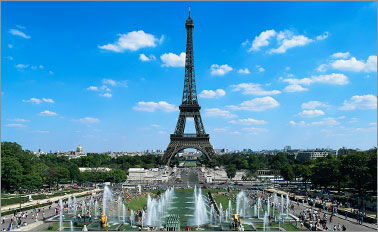 Look up to the Eiffel Tower and experience how new romance comes alive in this enchanting city.